Great stuff. One of your best posts! Lars: yep. This is a good one. Thanks Nick – I just realized that the post is actually very much up your ally or rather there is a lot Bob Clower inspired thinking there. Great post, I always thought that Keynes “general theory” was not general at all and rather extremely depended on the assumptions about the monetary institutions and the monetary framework that will guide your theory and policy prescriptions, I think your post will fit nicely complemented with Glasner’s book on free banking chapter 7 “The Keynesian revolution and the Monetarist counterrevolution”, Keynes theory falls apart not only by changing the assumptions of the money supply through an NGDP targeting framework but even more important under a competitive system (free banking) of the supply of inside money, which undermines Keynes argument about the interest rate coordinating the supple and demand for money. One last point you mention in your post this “But what have we assumed about monetary policy? Well, we have assumed that the money supply/base is fixed. No matter what happens to the economy the money base is just kept unchanged. This is of course what you (more or less) have under a gold standard” this is not completely true, this is true under a gold standard superpose by a central authority, a Gold standard with free banking will still undermine Keynes theory, hence the major assumption of Keynes is a monetary central authority interested in hoarding gold that will keep the money supply fixed. Indeed, just as the multiplier in Washington DC might be positive. 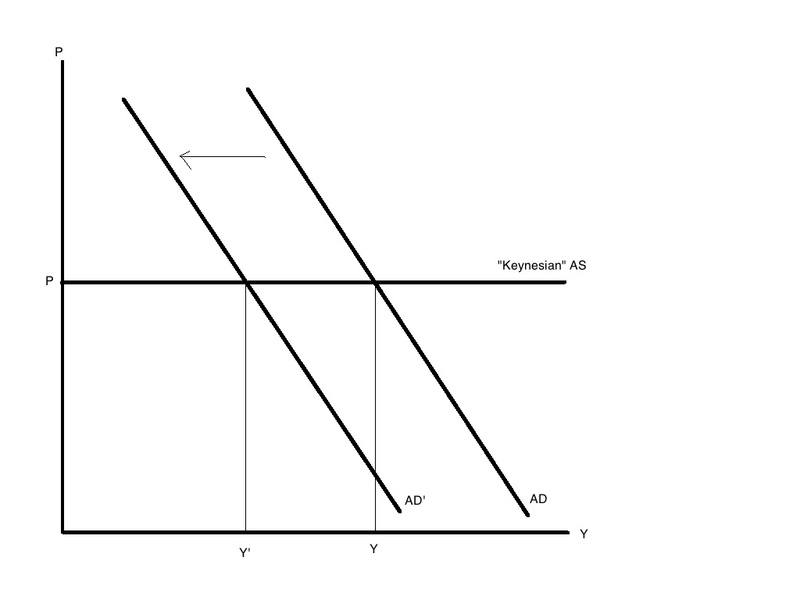 Small portions of a currency area live in a Keynesian world, but the currency area as a whole doesn’t. Which is why the europerifery does not need fiscal stimulus in the eurocore, but rather it needs the ECB to do its job properly! I might steal that comment for a blog post on why German fiscal easing is not the way forward! Great post! I think you are completely right on this. Should be mandatory for econ 101 students! Thank you for such a great post. It’s very enlightening and written in a way that a lay person like myself can understand. Fantastic! Fantastic post and great insight! Keynes makes so much more sense to me now. This is a very interesting post that I plan to read again to make sure I fully understand it. You emphasize how a monetary policy that targets NGDP could make the world act like a “classical” model where flexible prices prevent “demand shocks” from having any effect. Keynes viewed the world through the lens of the gold standard and possibly this affected his view of monetary policy. However he did seem to share with Market Monetarists the view that AD was the key to economic stability. AD and NGDP are really pretty synonymous. Keynes even seemed to think that (at least some of the time ) monetary policy (albeit driven by interest rates and liquidity preference) might be the key to stabilizing AD (NGDP). Keynes is obviously most famous for his views that AD can be best stabilized (especially when adjusting the interest rates stops working at the ZLB) by adjusting the size of the fiscal deficit. When looked at in a certain way the kind of monetary policy you support (adjusting the money supply via assets swaps) and fiscal policy (adjusting the money supply via govt budget deficits) are not really so different in the way they operate. 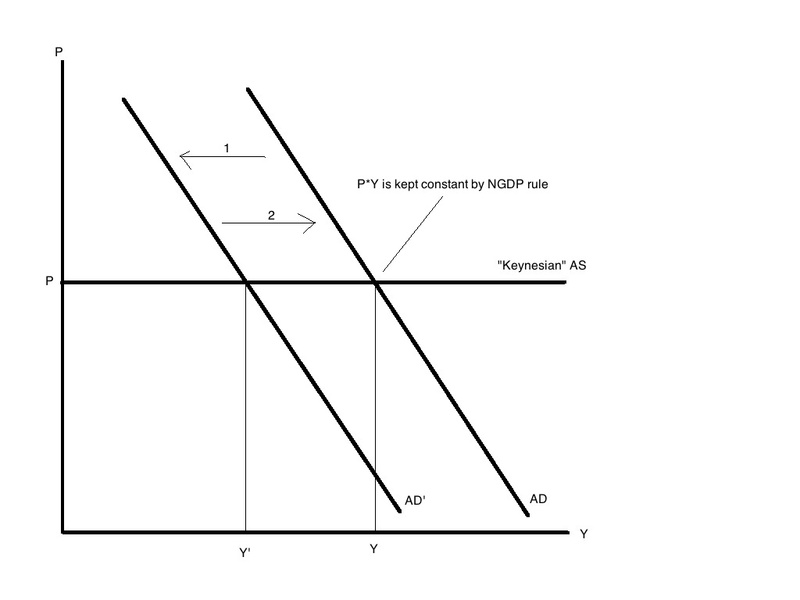 They both hope to stabilize NGDP (or AD) by playing with the parameters (mainly income and wealth) that determine them. So my question is: Would a world where fiscal policy is used to target NGDP (for example adjusting income and sales/taxes to change the monetary base) really be very different from one where monetary policy is used ? if no: why is not more credit given to Keynes (who recognized the importance of AD) rather than Friedman (who never seemed to see the importance AD and NGDP , as far as I know ) and who focused mostly on pure monetary targets that appear with hindsight to have been misguided ? Thinking about it I may have been wrong to claim that Friedman didn’t see the importance of AD, but I do believe he got the solution to inadequate AD wrong. Ambitious project trying to somehow convince us 79 years later that this book is pure garbage. However all theories obviously have assumptions. His point was that the Classical Theory had certain untenable assumptions. So no GT without the gold standard? From what I understand he did support when England got off the GS but didn’t think this by itself was the end of its problems. Bretton Woods was a pretty restrained gold standard-one in largely name. I don’t know that the GT becomes invalid with the Nixon Surprise.